You haven’t experienced christmas spirit if you’ve never experienced the 12 days Grizmas! Griz spreads love and warmth across his hometown of Detroit, with his amazing events, his pure soul and the crazy donations to charities to help youth in the city! The annual event comes to an end with a two night show, night one with “Griz Live Band” and night two with the famous Griz, Muzzy Bear duo! Griz Live Band is more than a performance, it’s an experience! Every aspect of this experience was very well orchestrated, From the interchangeable vocalist bringing their own energy to the stage, to the crazy solos by guitarist Muzzy Bear, and Saxophonist Griz. Each and every member of the band had a spotlight moment in the show! Griz dances with his saxophone like he’s one of us riding the rail at his show. He manages to somehow still sounds incredible while shuffling and head-banging all over the stage. His energy and passion really make him a blast to watch live! Along with the bands amazing talent, the stage production team did an outstanding job, with a beautiful display of rainbow colors, confetti cannons, and incredible sound! Once the confetti stopped and the lights died down, the night ended as Griz hugged his best friend Muzzy Bear after an incredible night! The feeling is contagious, and leaves the crowd feeling the love as the night closes. The most important part of Grizmas, you! The beautiful souls that help make this dream event come true! The collective group of people that help bring joy and peace the city and the youth of Detroit! 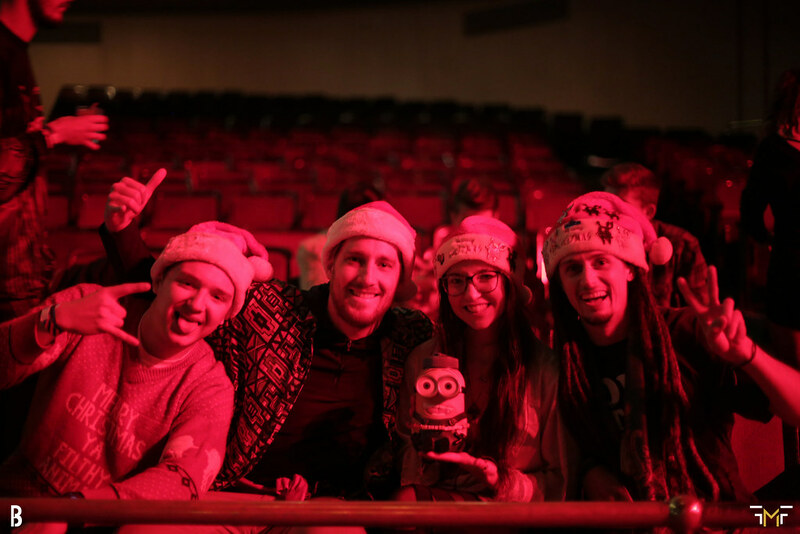 Check out our photo album and maybe you’ll find yourself in the Christmas spirit at Grizmas!